Want the NSWNMA to contact you? 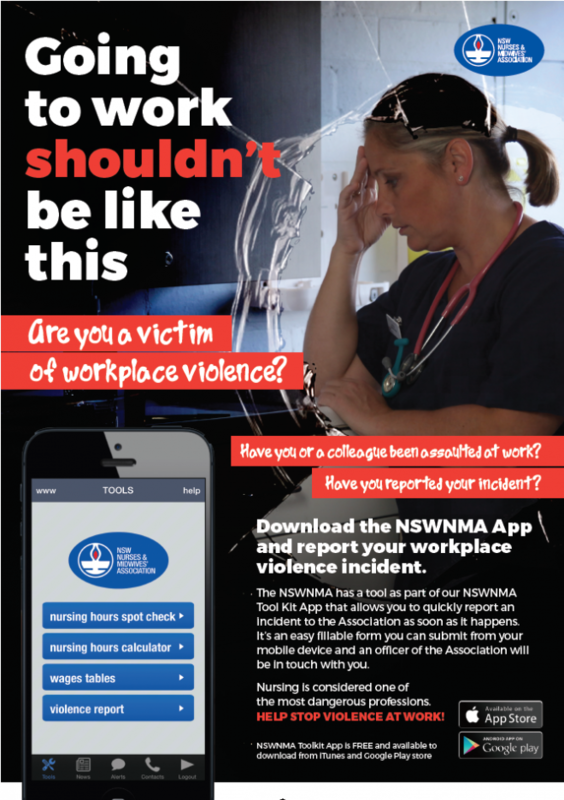 If you or a workmate have been threatened, abused or assaulted at work, use our NSWNMA phone app to report it. There are many useful resources for managing the risks and aftermath of workplace violence. Support for employees experiencing domestic violence is outlined here, including a list of warning signs as to whether a relationship could become abusive or violent.